Prioritizing virtualization, data portability and transparency in server utilization would help federal agencies meet the requirements of the White House’s data center consolidation initiative, Cameron Chehreh, chief technology officer and vice president of presales engineering at Dell EMC's federal business, wrote in an opinion piece for Nextgov published Thursday. Chehreh said virtualization could provide flexibility to address unpredictable changes and needs during the consolidation process. 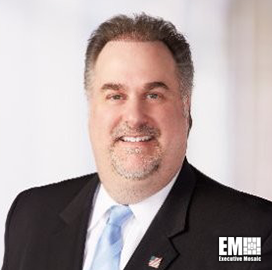 He added federal information technology leadership teams should also coordinate to discuss Data Center Optimization Initiative updates and utilize the new metrics to modernize IT operations. Adaptability is not a choice, it’s a requirement in both an agency’s mindset and IT infrastructure. This service mentality means making every decision with the mission and workload in mind." He noted that DCOI may encourage agencies to think about environments other than data centers where they will place their data to support missions, workloads and budget. “Lasting transformation is not easy to achieve,” the executive said. “It’s the initial conversations, service mentality and willingness to adapt that make these long-term IT modernization achievements possible."